So back at the beginning of July I wrote a post about my favourite books of the year up to that point. Since then my reading has suffered in quantity but thankfully not quality and I have more 2013 favourites to share with you. Reading has died down because of stuff going on in my offline life, I have been working two jobs while applying for more, trying to see friends and family more and it would appear as I get older there are more weddings and things to go to! I am behind schedule for my 2013 target of 175 books, currently on 163, but I’m hoping I can pull this back whilst I’m off for the holidays. For now though I thought I’d share some of these with you, all the links go to my review of the book in question so you can read my full thoughts. I have put them into order of being read to make it fair and to mirror the post in July! This book will have you in tears and your heart a crumpled mess on the floor. Beautiful writing, fantastic characters and a story you just can’t help but feel deep down in your heart this book is a must read and I can not tell you how much I wanted to put it down when reading, but couldn’t bring myself to because it was so good at the same times as being so devastating. From devastatingly sad to hilariously happy, my next book is one that I hope finds its way under the tree of every 6+ child this Christmas, unless they have it already. Neil Gaiman is hilarious and brilliant and Chris Riddles illustrations top this book off perfectly. I can’t believe that despite having one of his books on my shelf for over 5 years I had never read a Jonathan Stroud book until this year. The Screaming Staircase was a brilliant story and the best start to a series ever because I am dying to know what happens next. Hopefully I won’t have too long to wait! 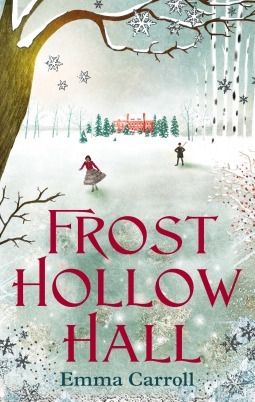 I think this book will be a great one to read over the winter months as the mood from it will fit your current environment (providing you’re somewhere really cold of course!) This was a ghost story and I read it in the run up to Halloween which also helped a lot, I really do recommend it if you are after a book that sets the scene perfectly and want a chill up your spine! All I want for Christmas is a finished copy of this book so I can see the beautiful illustrations in their full glory! I loved this retelling of the Hans Christian Anderson story, The Tinderbox. I thought it was told beautifully and I really liked the way things were not held back, it didn’t feel like a children’s book at all but it felt like a fairytale at the same time! So I read this book ages ago (at the beginning of November anyway) and I can’t post my review yet because its not out until next February and the publishers have asked me to hold off… so you will just have to take my word for it that you need this book, about two boys and their personal quests for information and freedom, in your life. It is one of the best coming of age stories I have read and definitely, definitely hits the nail on the head with a range of different topics. This book blew my mind in so many ways. I keep telling people they must read it and they just won’t understand why until they do. I have shouted and screamed its praises for weeks now and seriously guys if you haven’t read it, go do so now! I swear Marcus Sedgwick is a genius! 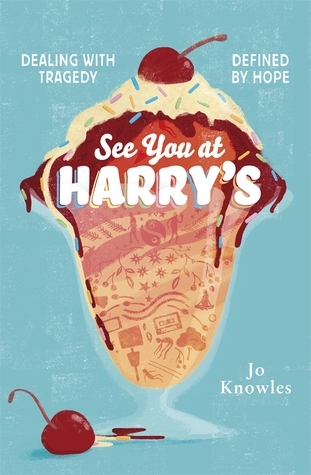 I read this recently and its not even out until next March but I loved it and it deserves to be on this list! I loved how honest and frank this book was and how it tackled such delicate subjects. I really can’t wait to see more opinions of this book on the blogosphere but it did make me sad that there was nothing like this around when I was 15! 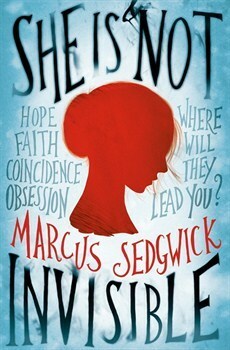 She Is Not Invisible – Marcus Sedgwick! There was too much to love about this book and it is going to stay with me for quite some time. It had its flaws but quite honestly I adored it all! I HAVE to read Trouble. So excited! I’m holding off reading Trouble till closer to publication but I absolutely cannot wait! Wow 163 books is amazing! 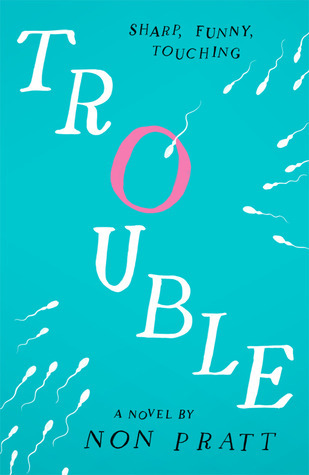 Lots of goodies on this list, including Trouble which I am really excited about. I’ve seen She is Not Invisible on a few lists, so I definitely have to check it out soon!